Climbing Bourbon rose. Scented, double, soft shell pink, repeating from early summer. Thornless stems. Fertile, moist, well drained soil, in sun or shade. Suitable for growing on north facing walls. Good for training on walls, arches or pergolas. 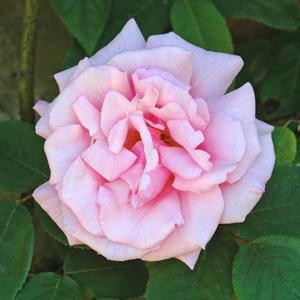 Sport of Rosa 'Zephirine Drouhin', selected by Dickson, Northern Ireland, 1919.